Hi guys, welcome to #ablogadayforthewholeofmay today I have a post for you from the lovely Keevwaa I hope you enjoy this and if you do go over to her blog and show her some love! Today it won't be Cole writing for you, it's Keevwaa from keevwaa SaysHi. If you don't read my blog I will leave all my links at the end if you are interested. 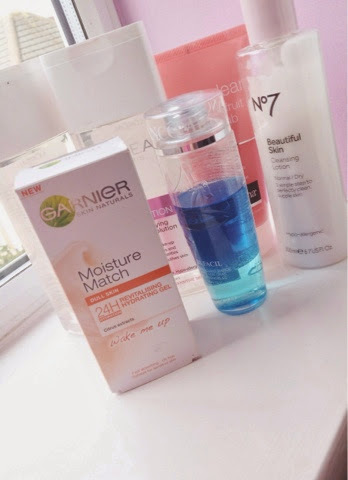 For this post I thought would notify you on my current favourite skin care products. I have been using most of these products daily and they have been keeping my skin in really good condition, so let's get started. 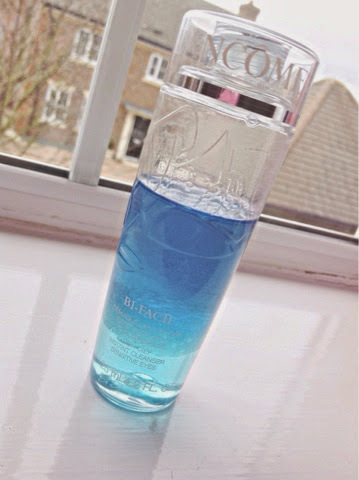 The first product in going to inform you about is Lancôme Bi-Facil Eye Makeup Remover. I use this product by putting the smallest amount on a Cotton pad and holding over my closed eyes for a few seconds then I take it off and all of my eye makeup is removed. This is such a quick and easy product to use, I do want to emphasize though, only use a small amount because I find otherwise it might sting a little. This is brilliant for removing waterproof mascara without pulling out your lashes. I'm also slightly obsessed with the colour of it, it's so beautiful. I really recommend you buying this. The next product I'm going to talk about if something that I brought very recently but has made such a difference to my skin. 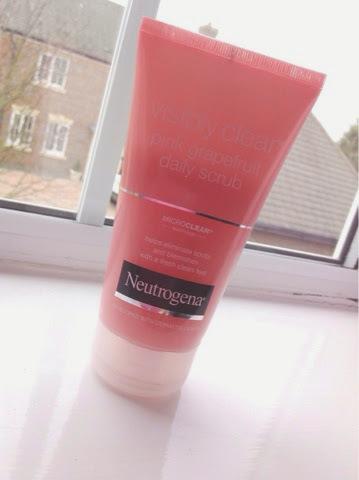 It's the Visibly clear Daily Scrub by Neutrogena. I apply this in the mornings and evenings and it makes me feel very refreshed. I don't have none foundation/concealer days very often although since using this I've felt a lot more confident with how my skin looks. The price of this was around £4 I think. It also smells divine. Moisturizers can make a huge difference to your skin, although before I found this Moisturizer nothing had worked very well. 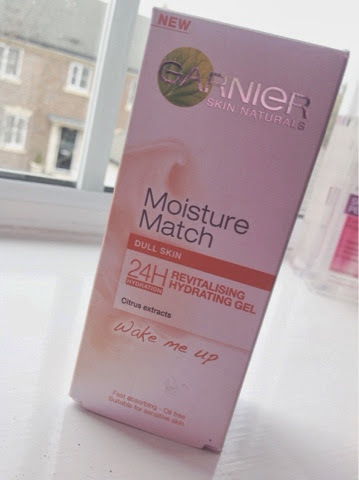 This is the Garnier Moisture Match in Wake me up. One thing I love about this is that you can easily find the right moisturizer for you as Garnier have an online quiz to help you out. This instantly revitalizes your face and gives you such a healthy glow. This is about £5/6 which is so good and once this has run out I will defiantly be repurchasing. 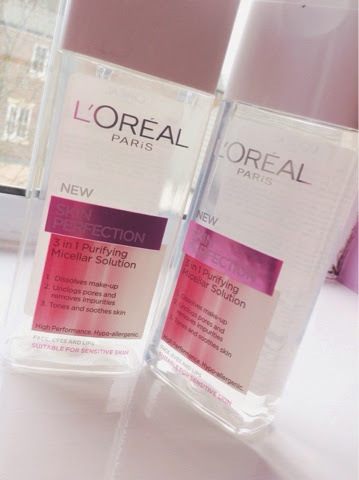 Now here's a product that I have repurchased as I love it so much, this is the skin perfection by Loreal. I use this as a makeup Remover and also a toner. This is great for taking off your makeup and really clearing your skin. I prefer this to makeup wipes as it feels a lot nicer on your face. I apply this with a Cotton pad and the use the Lancôme remover on my eyes. 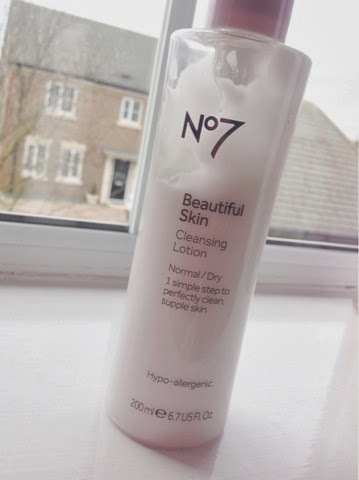 The 5th and final product is my No7 cleansing Lotion. I have tried so many cleansers and none of them have worked as well as this one. It takes of so much makeup that you didn't realize you had left on your skin. I also find it very brightening and relatively moisturizing. The products lasts very well as I have used it everyday since Christmas (with a few exceptions) and there is still so much product left. I'm not sure on the price of this but it was probably around £10. Great guest post! I love the lancome make up remover but sadly the price just puts it out of my price range at the moment. I've been searching the high street for a dupe though!